Zeige 1-20 von 4,764 Einträgen. Zeige 1-20 von 33 Einträgen. 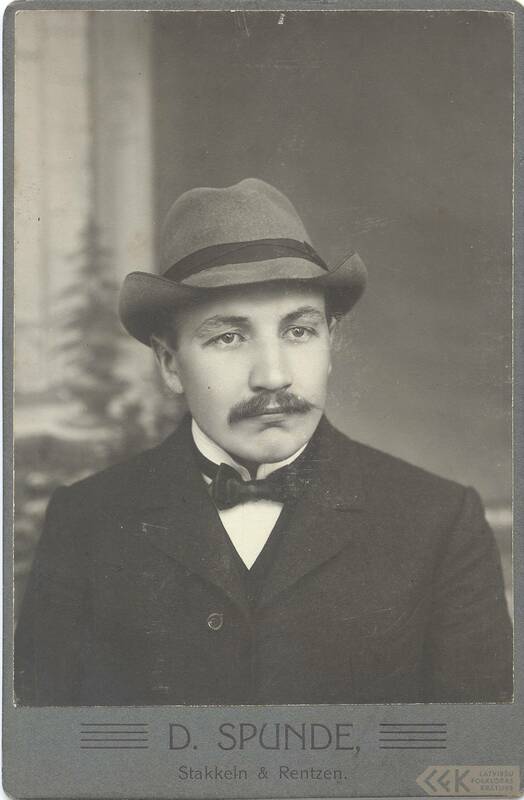 Portrait of Kārlis Bukums Foto 0023-Bukums 1912 Kārļa Bukuma portrets. Foto uzņemts apmēram 1912. gadā Strenčos. Area at Pobrencis spring of medicinal water Foto 0023-2538 1925 Kārlis Bukums The brush-covered area around the Pobrencis spring of medicinal water, where people used to gather, celebrated at festivals - singing, dancing, playing games, and also gave offerings to the spring. Illustration in memory album Zeichnung 0023-2951a 1926 Ilustrācija no atmiņu albuma. Illustration in memory album Zeichnung 0023-2951b 1926 Ilustrācija no atmiņu albuma. Illustration in memory album Zeichnung 0023-2952a 1926 Ilustrācija no atmiņu albuma. Illustration in memory album Zeichnung 0023-2953a 1926 Ilustrācija no atmiņu albuma. Illustration in memory album Zeichnung 0023-2954a 1926 Ilustrācija no atmiņu albuma. Illustration in memory album Zeichnung 0023-2955a 1926 Ilustrācija no atmiņu albuma. Illustration in memory album Zeichnung 0023-2958a 1926 Ilustrācija no atmiņu albuma. The threshing barn of Silvērs Foto 0023-4788 1925 Kārlis Bukums The threshing barn of Silvērs, where the Devil himself sat on the roof and mended his trousers with reigns threaded into a thill. House "Brīnums" ("Miracle") Foto 0023-4789 1925 Kārlis Bukums The house named "Brīnums" ("Miracle") in Kokmuiža parish. See the legend "Brīnums liels" (A Great Miracle). Young guys going home Foto 0023-4791 1925 Kārlis Bukums Meitās gājēju tipi atgriežas mājās. Sīmanēni sacred oak Foto 0023-5414 1925 Kārlis Bukums The sacred oak of Sīmanēni, on the right bank of Gauja, near "Sīmanēni" farmstead in Valmiera district, some 12 versts from Valmiera, upstream the Gauja. The oak is said to have been burned with malicious intent in spring 1922. Zeige 1-20 von 2,049 Einträgen.